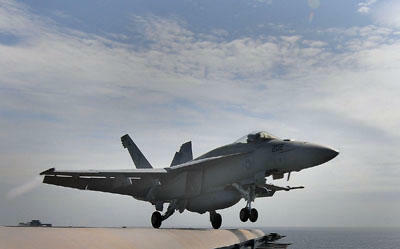 The U.S. Navy’s Super Hornet aircraft are coming home to St. Louis for a major makeover. 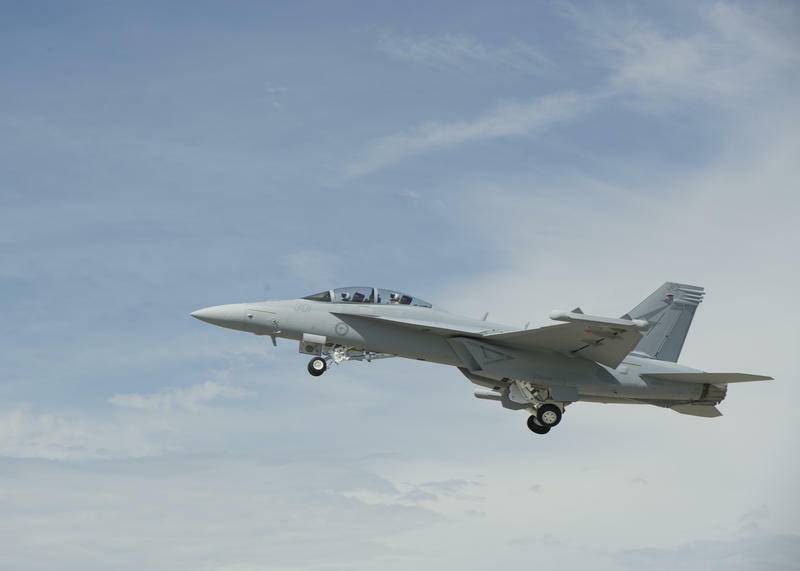 Boeing unveiled its Service Life Modification (SLM) program Friday with dignitaries and many of the engineers and factory workers who built the first Super Hornets 20 years ago in attendance. Designed for a lifetime of 6,000 hours in the air — many of the F/A-18s fighter jets are nearing that milestone and returning to Boeing for a mechanical overhaul and updates. The new U.S. Department of Defense budget request could provide breathing room for Boeing production in St. Louis. Look closely and you’ll notice a kangaroo on the side of the sleek gray fighter jet and a boomerang on its tail. 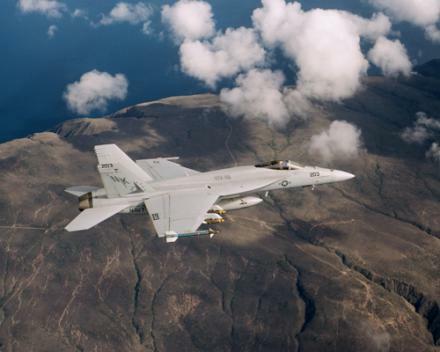 This EA-18G Growler, produced at Boeing’s Defense, Space & Security headquarters in St. Louis, has all the markings to show that it's headed to the Royal Australian Air Force. This article first appeared in the St. Louis Beacon: WASHINGTON – Whether the topic is military justice or military camouflage, Super Hornets or small-diameter bombs, base closures or weapons proliferation, provisions backed by area lawmakers have progressed in the House and Senate defense bills. This article first appeared in the St. Louis Beacon, Nov. 21, 2011 - Sen. Claire McCaskill sharply criticized the Missouri House once again for putting forward a non-binding resolution seen as a slight of Boeing. This article first appeared in the St. Louis Beacon, Oct. 28, 2011 - WASHINGTON - Like a strike fighter aircraft that averts danger from all directions as it heads toward its mission, the political agility of the Boeing Corp.'s F/A-18 Super Hornet program is being tested as it maneuvers through congressional budget-cutters, dodges errant flak from the Missouri legislature and hones in on foreign sales. This article first appeared in the St. Louis Beacon, Oct. 24, 2011 - U.S. Sen. Claire McCaskill has postponed -- but not cancelled -- a visit to Boeing Co.'s manufacturing plant by Lambert Field to laud the F/A-18 strike fighter plane, and the thousands of St. Louis area workers who help build it. This article first appeared in the St. Louis Beacon, Oct. 14, 2011 - Missouri House Majority Leader Tim Jones, R-Eureka, says he's prepared to deliver a "mea culpa'' when his chamber reconvenes next week as part of a move to correct what he acknowledges was a mistake when the House overwhelmingly approved a resolution that indirectly jabs at the F/A-18 strike fighter built in St. Louis by Boeing Co.